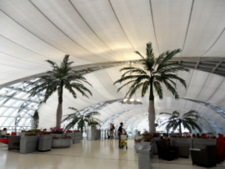 The Suvarnabhumi Airport Link provides a rapid rail link between the airport and Bangkok city centre with eight train stations over 28.6 km and connections to the Bangkok skytrain and subway. 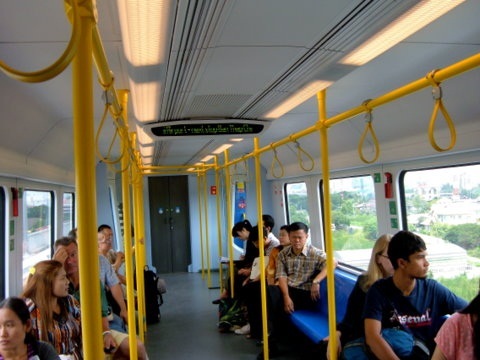 Like the skytrain, the airport rail link runs on tracks above ground, following the route of the eastern railway. Some of the airport rail link stations are in the vicinity of the railway stations. All the airport rail link stations are above ground except for the terminal station at Suvarnabhumi Airport which is underground. Construction on this project commenced in July 2005 and was supposedly ready in August 2009. However, owing technical problems, the official opening was delayed for a year until August 2010. 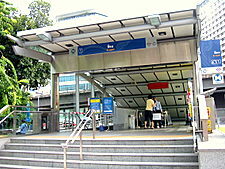 A trial run for the airport link started on 1 June 2010 with free rides over limited periods of the day. On 23 August 2010 the Suvarnabhumi Airport Link officially started full operations. 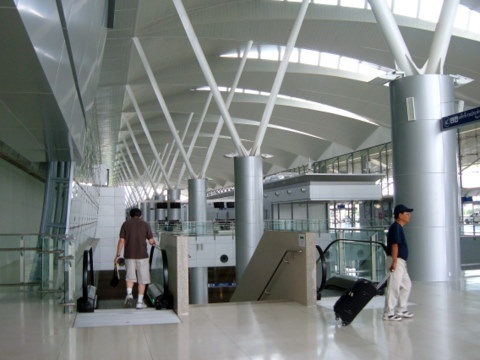 This airport rail link is owned and operated by the State Railway of Thailand. Operating hours are from 6:00 am to midnight daily. The rail link covers a distance of 28.6 km and the maximum speed of these trains is 160 km per hour. The airport rail link provides two services. There’s an Express Service between Makkasan and Suvarnabhumi Airport. The journey takes 15 minutes with trains departing every half an hour. 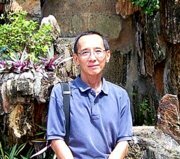 The round trip fare till the end of 2010 is 100 baht. But the return trip must be made before midnight of the same day. 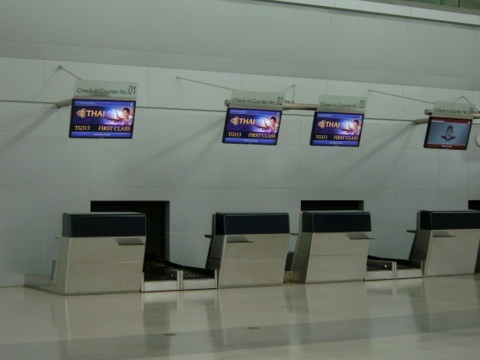 The check-in and baggage handling service at Makkasan will be ready at the end of 2010. After this system is in place, the fare will be raised to 150 baht. 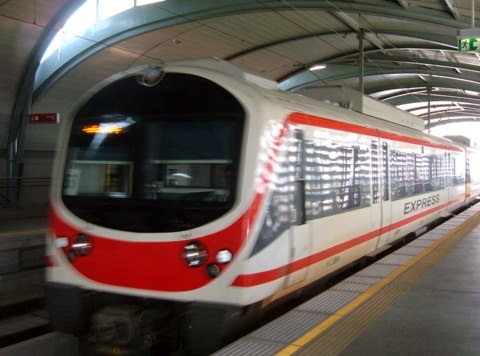 The Suvarnabhumi Airport Link has also started an additional express train service linking Phaya Thai with the airport. Currently the fees are 90 baht for a single trip and 150 baht for a return trip. 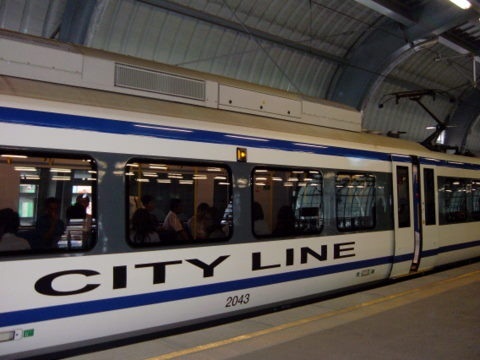 The City Line has eight stations with trains departing every 15 minutes. The fare is a flat rate of 15 baht till the end of 2010 after which variable rates from 15 – 45 baht will apply. Travelling time between train stations varies from 2 – 4 minutes. The journey from Phaya Thai to Suvarnabhumi by the City Line takes 28 minutes. 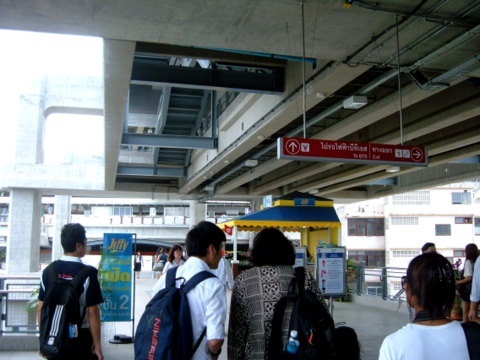 To connect to the Bangkok skytrain commuters can board the Sukhumvit line at the Phaya Thai skytrain station which is linked by a skywalk to the Phaya Thai airport rail link station. Those who wish to use the Silom line can switch over at the Siam interchange. Connecting to the Bangkok subway Bangkok subway at Petchaburi isn’t as convenient if you have heavy luggage. 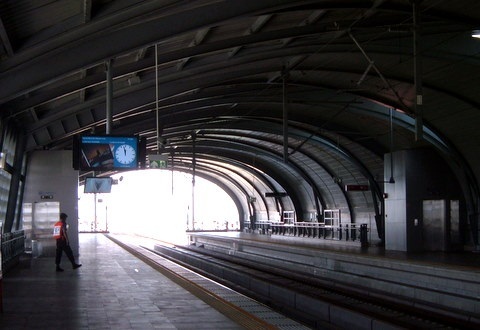 The Petchaburi station is at least 200 m outside the Makkasan airport link station. A skywalk linking the Makkasan airport link station to the Petchaburi subway station will be completed next year. On 8 August 2013, the Airport Rail Link Company announced the completion of a 166 metre skywalk linking Makkasan Airport Rail Link to the Petchaburi subway station. 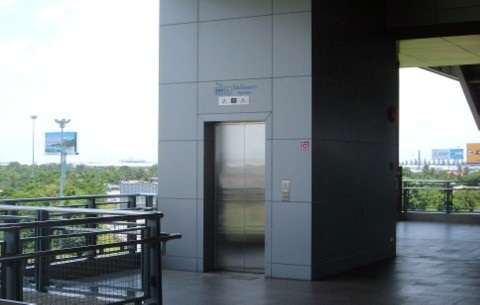 The skywalk can be accessed from the 2nd floor of the Makkasan through Exit 1. This will make it easier for passengers who are senior citizens or handicapped. Those with heavy luggage and small children will also benefit from this. The subway will give visitors access to the hotels in Ratchadaphisek as well as Silom. These hotels are nearest to the respective airport rail link stations. 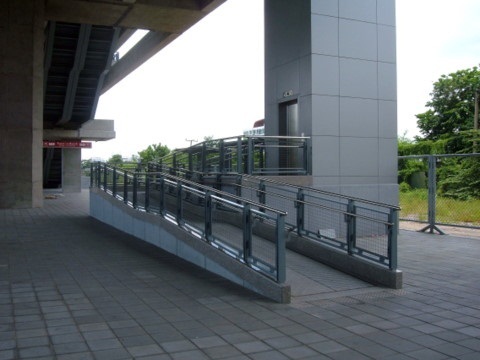 All airport rail link stations have these facilities for the disabled, senior citizens and travellers with children, heavy luggage or walking difficulties. 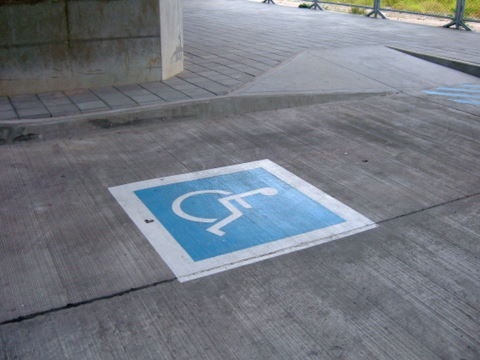 There’s a designated lot for the disabled to get on and off vehicles from which they can proceed to the ramp and the lift. The lift on the ground level will take them to the ticketing platform where they can buy their train tickets. Then proceed through the entrance where another lift will take them to the airport train platform. As there are two sets of entrances on the ticketing platform, please go through the side that leads to the lift. Ask the station staff for directions if you are unsure. The lift on the train platform is right at one end of the platform and may not be visible to a disembarking passenger. Check with the security guard on the platform. 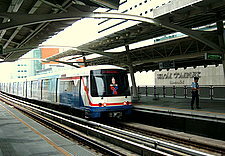 The Suvarnabhumi Airport Link is another service added to the rapid transit system in Bangkok providing an essential rail link between Suvarnabhumi Airport and the city centre. For other rapid transit services in Bangkok, please see Bangkok skytrain and Bangkok subway.